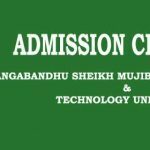 Bongomata Sheikh Fazilatunnesa Mujib University of Science and Technology has published their admission circular recently. 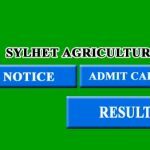 BSFMSTU Admission Circular 2018-2019 has been published on 18/01/2019. Applicants will get the BSFMSTU Admission Circular 2018-2019 on their official website http://bsfmstu.ac.bd/admission. To know the details of the circular, read the article properly and check the full admission circular in below the article. According to the official circular, we have given this article. 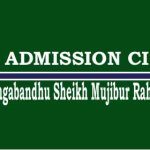 According to the notice of Bongomata Sheikh Fazilatunnesa Mujib University of Science and Technology the application process for admission will be started from 25th January, 2019. Applicants have to apply on their official website. The application process will be started from 25th January at 12.00 am and the last date is 7th February at 12.00 pm. Applicants have to apply within this time. Every Applicant has to join in the admission test. The admission test of each unit will held between 15/02/2019 to 16/02/2019. Minimum Grade Point: From Humanities background, applicants need total GPA 6.50. Minimum GPA 3.00 is need in both S.S.C & H.S.C including optional/4th subject. From science background, applicants have to observe GPA 7.50. in S.S.C & H.S.C, they have to gain minimum GPA 3.50 with 4th subject. Applicants who are from GCE “O” level have to pass in 5 subjects. From “A” level, applicants have to pass in 2 subjects. In both grade any applicants must have to get “B” grade in 4 subjects and “C” grade in 3 subjects. Students from Bangladesh Open University can not apply for this admission. There are 4 faculties in Bongomata Sheikh Fazilatunnesa Mujib University of Science and Technology. As it is a new governmental institution, they just started their educational programmed from this season. The faculties are usually known as Unit. Authority of BSFMSTU has published a complete guideline through their admission circular. On their admission circular they fully described about their admission test process. As they are going to arrange the admission process for first time this year so applicants should properly read this part. I have added this marks distribution part from BSFMSTU Admission Circular 2018-2019. Applicants have to pay 10% service to apply on each unit. The admission fee for each of the unit have given below.